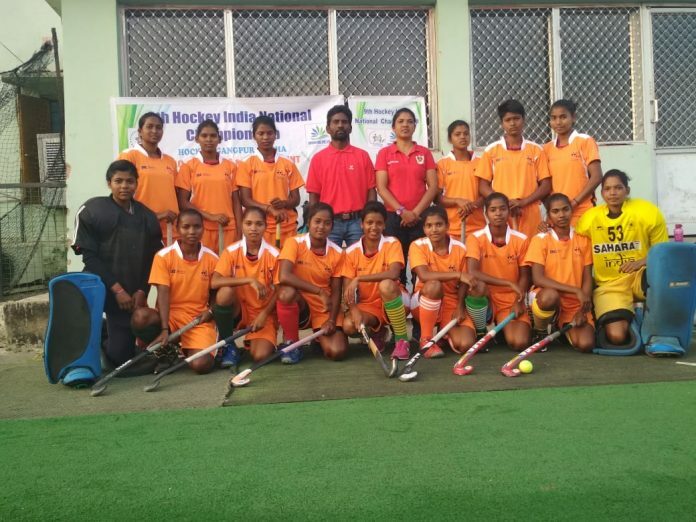 Rourkela: A 20-member contingent of Hockey Gangpur-Odisha will leave for Hissar in Haryana on Tuesday to participate in the 9th Hockey India Senior Women National Championship (Division- A) beginning February 8. The championship will be concluded on February 17. Elin Lakra (Captain), Madhuri Kindo, Mukta Jojo, Sameera Lakra, Anjela Toppo, Jyoti Chhatri, Sushanti Minz, Sushmita Kerketta, Manisha Oram, Premanjali Toppo, Aten Topno, Chandni Naik, Reshma Lakra, Nikita Toppo, Mamita Oram, Pratibha Ekka, Archana Tete, Rani Kumari, Paulina Surin (Coach) and Xavier Lakra (Manager).